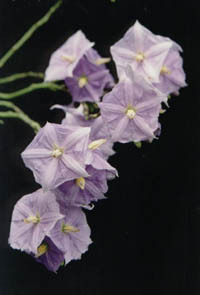 A medium size vine that grows well and blooms early in containers. The flowers are 1 ½ " wide. They start with a deep purple color, then fade to lavender, then white.